Published and Edited by Edward W. Titus. 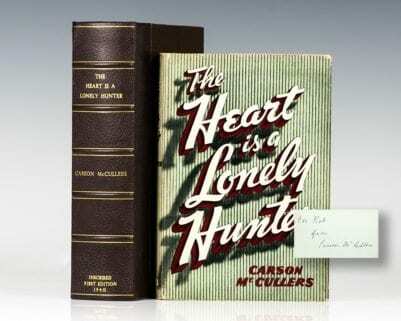 First edition of this historic French literary magazine. Octavo, original wrappers. This volume includes essays and poems by Humbert Wolfe, Stefan George, Johann Wolgang von Goethe, and J.M. Reeves. In near fine condition. A nice example. 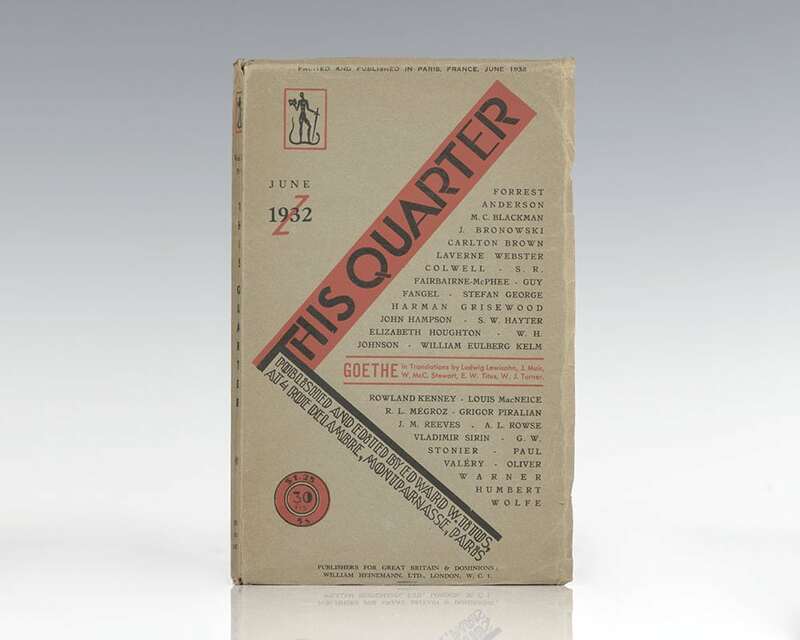 Polish-born American expatriate Edward W. Titus became editor of the small modernist magazine, This Quarter, in 1929. Titus was the owner of the important Montparnasse rare bookstore At the Sign of the Black Manikin (opened in 1924) and founder of Black Manikin Press. His publications include D. H. Lawrence’s Lady Chatterley’s Lover in 1929 and an edition of Baudelaire’s prose poems translated by Aleister Crowley.